Megaprojects New Media requires a newer version of Adobe Flash Player. This site presents new media representations of people living amidst Canadian megaprojects. 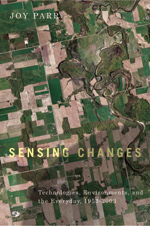 For more, in book form, see Sensing Changes by Joy Parr, with new media introduction by Jon van der Veen (UBC Press, 2009). The Megaprojects New Media series was conceived by Joy Parr as a way to differently tell the stories of change, loss, and adaptation found in mid-twentieth century state engineering projects. These "megaprojects " include the construction of the Columbia river dams in British Columbia, the Bruce Nuclear Power facility in Ontario, the St Lawrence seaway, and the Gagetown military base in New Brunswick, among others. Series by Jon van der Veen and Joy Parr, in collaboration with Jessica van Horssen. A series of photographs, maps and aerial imagery taken between the 1960's to the present documenting the changes in land use since the Gagetown Military Base was established in a farming community in southwestern New Brunswick. Explore the town of Iroquois, Ontario as it was before its relocation in 1954 to make way for the St Lawrence Seaway. Houses and businesses along the main streets are depicted, and recollections from former residents can be heard along the walk. By drawing from his archive of documents, this site illustrates the life and work of Val Morton, whose ranch in British Columbia was expropriated in 1968 as part of the Columbia River Treaty. 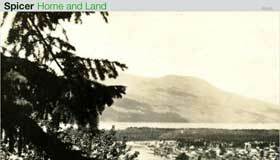 A collection of images and video documenting the Spicer family lands near Nakusp, British Columbia, before and after flooding from the dams. Four interview-based audio compositions highlighting different aspects of living and working near the Bruce Nuclear Power Facility and Heavy Water Plant in Kincardine, Ontario. Arranged by Jon van der Veen in 2007, and interviews conducted by Joy Parr in 2000-2001. 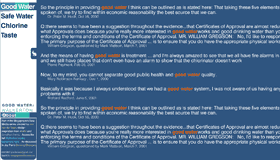 A data visualization of the transcripts of the Walkerton Inquiry, focusing on keywords relating to drinking water. The Inquiry was held in 2000-2001 in the aftermath of the bacterial contamination of the water supply in Walkerton, Ontario.